Your South Lake Tahoe Wedding — Sierra Style! 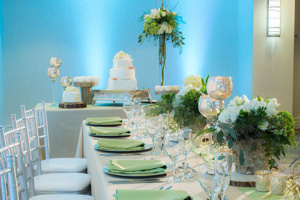 Wedding receptions at Lake Tahoe Resort Hotel are the icing on the cake! From intimate parties in our private dining room to large celebrations in our Queen of the Lake Ballroom, we’ll create the perfect ambiance for toasting the newlyweds. We also handle all the wedding reception details, including decor, catering, and music, leaving you to enjoy the experience. After the party, you and your guests can settle in your luxurious Lake Tahoe Resort Hotel suite in South Lake Tahoe. 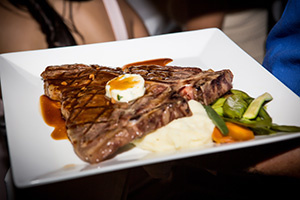 Our culinary team will design a menu sure to please you, your guests, and your budget. View the menus below for examples of our exquisite cuisine. Please contact our Lake Tahoe wedding specialist for more ideas and pricing. 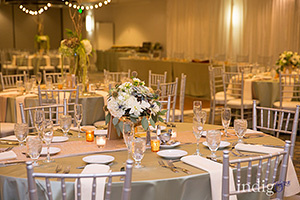 We’d love to help plan a fabulous Tahoe wedding reception for you. Please contact our wedding specialist for information and pricing. View our wedding vendor list for more planning options.